Derek Abrefa said though he is very happy because it is over a decade that Ghana was able to make it to the world championship stage, he is not safe as he wants to participate in order to win points qualification to the Tokyo 2020 Olympic Games. Celia Baah Danso, the female star from the Ghana Armed Forces (GAF) who is looking forward to the 44th SWAG Awards for the Best Table Tennis Player of the year 2018 said she is prepared for the world, as she has gained experience and exposure from the 2018 African and Commonwealth Games. She promised to go all out as this is another opportunity to sell Ghana Sports. The 2019 Liebherr World Table Tennis Championships comes off in Budapest, Hungary from 21 to 28 April 2019. It will be the 55th edition of the championships, and the fourth time that they have been held in Budapest. The tennis duo are appealing to Ghanaians and companies to support them with at least $10,000 for airfares to travel and participate at the world championship. Abrefa said it is similar to the Black Stars playing at the World Cup. Abrefa has been Ghana Number One seed for over 8 years, while Celia Baah Danso has been among the best three top female players in the last 8 years. 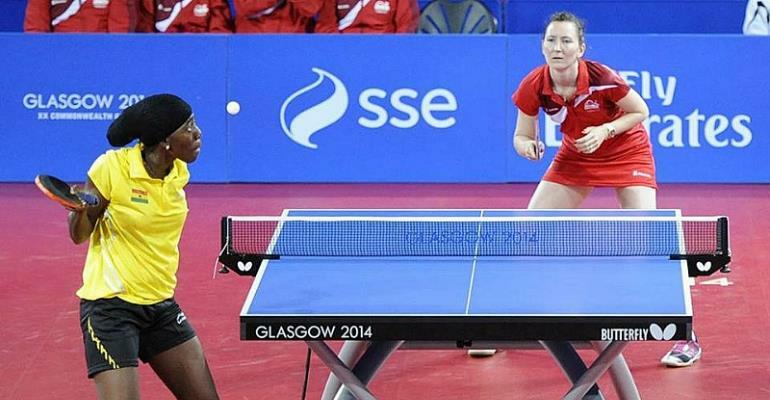 This year SWAG will honour them as Best Table Tennis Players of the Year. The Awards is scheduled for May 11 at the Accra International Conference Centre.